Not on my bedside table. 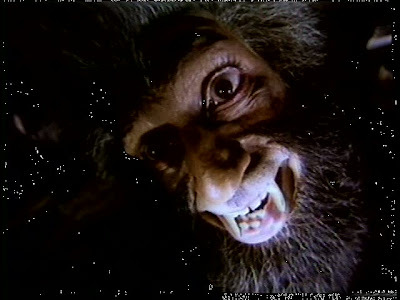 An interesting charge was hurled at me today: I, non-watcher of scary things, avoider of the werewolf-y parts of cinemas both domestic and foreign, was called "a Jaani Dushman apologist"! How the filmi fates twisted and turned to create this strange scenario, I do not know, but there's an element of truth to the accusation (and I'd be in good company). This is not the worst Bollywood horror movie I've seen, nor is it even the most poorly done masala out there (which might actually be the same movie). I even watched it twice to make sure I hadn't missed any diamonds in all the rough, and on the second viewing its overall structure and plot threads seemed much better organized and more sensible, which is how I often feel about mysteries. I'm the kind of gullible audience member the director (Raj Kumar Kohli) and writers (one of whom did Gumnaam) probably dreamed of when cooking this up: in retrospect, the identity of the mysterious monster, called a ghost but looking for all the world like what I'd call a werewolf, terrorizing the brides of the village is totally obvious, but I didn't clue in. 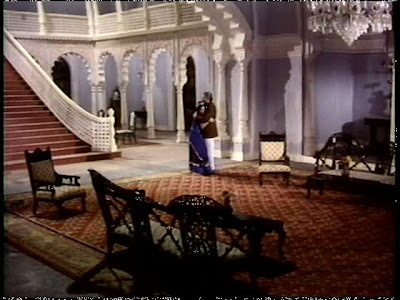 But as clueless as I may be about whodunit-ness, my standards for successful masala are increasingly researched, contextualized, and well thought out, and it is in masala-making that Jaani Dushman fell short. It has romances and enemies and disguises and action and criminals and songs (and even a stupid comic subplot with bug-eyed Jagdeep, which I ignored both times through), but it's very sloppy. Transitions between scenes and plot threads are nonexistent, and often it seemed like multiple different movies had been snipped up into pieces and reshuffled into this one. Characters are bumped off hither and yon, adding to the choppiness: someone is introduced, has a few minutes of dialogue, and is then fed to the (were)wolves. I was feeling optimistic in the first half hour or so, with a cute Neetu-Jeetendra pairing, but even that didn't create any lasting goodwill. With the mysterious exception of Ranjeet and Shetty, whose absences are notable, everyone and their cousin is in this movie - Neetu Singh, Jeetendra, Sunil Dutt, Sanjeev Kumar, Rekha, Shatrughan Sinha, Sarika, Bindiya Goswami, Indrani Mukherjee, Reena Roy, Aruna Irani, Prem Nath, Mac Mohan, Shakti Kapoor, Madan and Amrish Puri - but the cast does not help matters one little bit. They don't have a lot to work with, and there are so many people that no single one of them has any chance to make much of an impression. 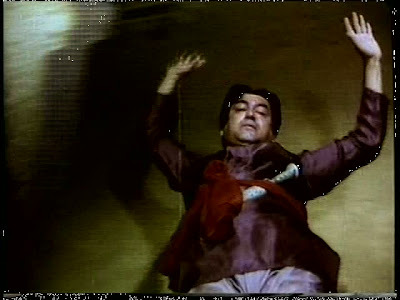 Sanjeev Kumar as the long-suffering thakur of the village, whom I might name as the lead actor if I had to pick someone, is especially painful to watch, using a weird grumbly voice and overblown reactions; his finest moment is in the climax when the monster swings him around by his feet, with the camera giving us the monster's-eye view of the thrills. "If this is how you treat actors of my usual caliber, I'm outta here!" 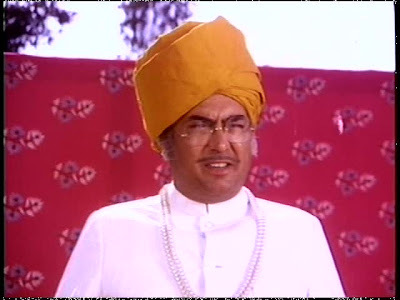 Over the years I've been compiling a list of things I've learned from Bollywood, and a new addition is that if Sanjeev Kumar is the thakur of your village, you ought to just pack up and move. Anyway. I refer to the infinitely superior Dharam Veer in my post title only because of a few superficial similarities. This movie too exists in an unspecified yet historical-ish time period - only one car, the pulpy paperback in the top picture, and Shatrughan's pimpin' leather jackets and sunglasses really mark it as 20th century, and these seem more like errant mistakes than deliberate inclusions. 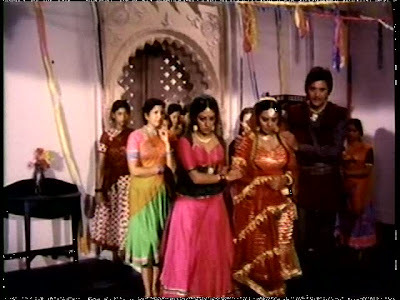 And Jeetendra romps around in boots with Neetu and wears the same belted tunic outfit in multiple colors (just like Dharmendra does in DV). Clearly Jaani Dushman only dreams it could be Dharam Veer. If only Kohli had a bit of Desai's great sense of fun and ability to blend and balance R(ecommended) M(asala) A(llowance) ingredients. Will filmmakers ever learn that you can't just shove a bunch of familiar ingredients into a blender and expect to magically produce a workable product? The good ones may look as easy as that, but it takes brains and heart to do masala right. Jaani Dushman lacks both. People who die before their time. Their spirits haunt the place they were killed in and enter other people, too.... They [are recognized by] five important signs. The person whom the ghost possesses keeps perspiring. He continuously sweats. He always chews his lips while talking. 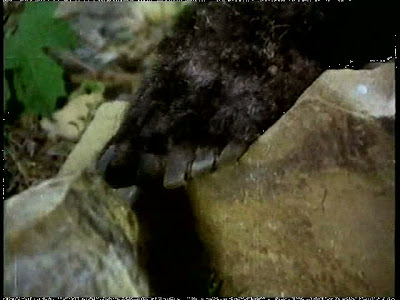 His hands and feet always shiver. His eyes never blink; they are always open. And the most important thing is that he is always terrified of fire.... No blow hurts it, but if you break his spirit, he's destroyed. Despite the physical manifestations, the possessed person does not realize what he's doing while the ghost is acting through him. All of this information comes in handy throughout the movie; perhaps if I'd taken notes, I would have been able to sort out the mystery instead of being fooled by this mess. 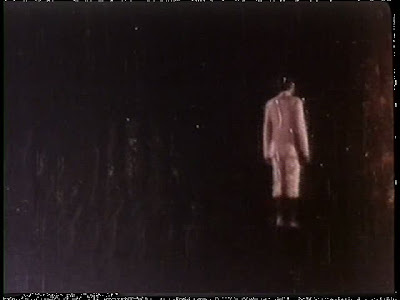 Breaking the ghost's spirit is a vague concept, so the movie helpfully illustrates what it looks like. So the next time you see a stick figure-shaped hole in a wall, you'll know the ghost is gone and the coast is clear. A movie this hodge-podgey could not be without a few delights, and it's only fair to discuss them too. For starters, I know I've seen this mansion (complete with awesome chandelier!) before. Can anyone place it? The pot-on-the-head disguise was amusing in Koi Mil Gaya, and it's funny-ish here too. (Or as close to funny as this movie gets, anyway.) 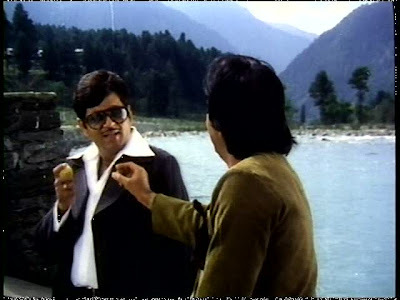 Shatrughan swaggers around as the thakur's ne'er-do-well son, but sadly the DVD I got from Netflix is missing at least one very significant scene involving his character. At least his fly fashions speak for themselves. 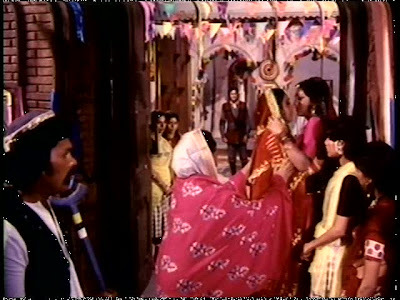 Apart from Neetu and Jeetendra, my favorite performance was Rekha, who was sassy and fun as Champa, the village troublemaker with a taste for bad boys. My screen capturing program was not fond of this DVD, so a lot of my pictures are really bad. As a result I can't show you this wonderfully weird joust-like sport some of the men play (but it's online here). Its final round involves a tug-of-war for a sword dangling over this spiked hemisphere (starting at about 3:00 in the clip). 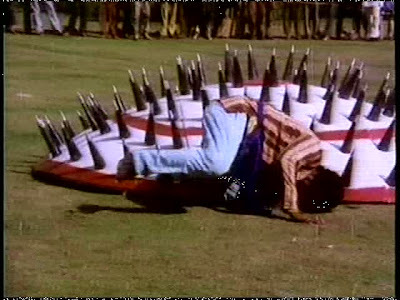 The stunt doubles for Sunil and Shatrughan do some nice flips and things in this scene. Also, I must give Kohli points for economical use of resources; a textile behind the thakur in his tent at the sporting event pops up again later on a member of one of the doomed bridal parties. 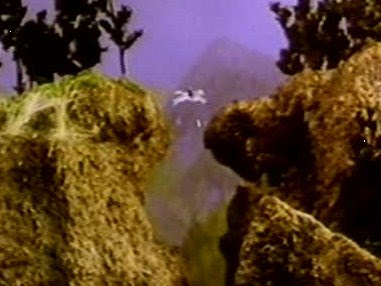 Speaking of which, I counted at least three repeats of the same woeful song as the brides leave their families. Obviously knowing the tradition of MYSTERIOUS DEATH that looms over brides in this town is going to be a damper on the already sad occasion of leaving your family, but geeze, filmmakers, couldn't you at least spring for another singer or two to take on the same tune? 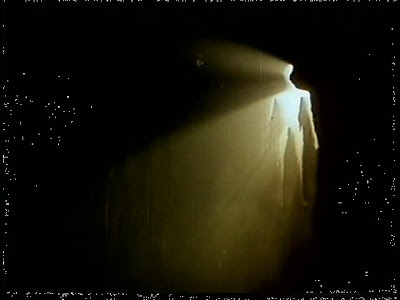 Jaani Dushman isn't quite as bad as I thought it would be - certainly nowhere near as bad as the director's 2002 similarly-packed movie of the same name - but the fact that Die, Danger, Die, Die, Kill! wasn't inspired to write it up shoud tell you something. 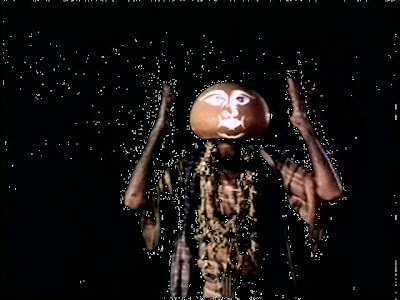 Unless you're intent on seeing everything that might loosely be called "horror," or all the works of Amrish Puri, I can't recommend it, and even then I'd bring along a wisecracking friend to make the dull parts pass more pleasantly. Just keep an eye out that they don't start sweating and staring and forgoing the bananas foster. I know that set too...was it Dus Lakh? 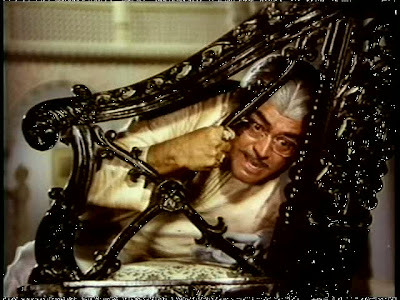 Or maybe even Gumnaam...Oh this will annoy me til I know..I cannot believe who all is in this movie! And still I have no desire to watch it but I am sure I own it. 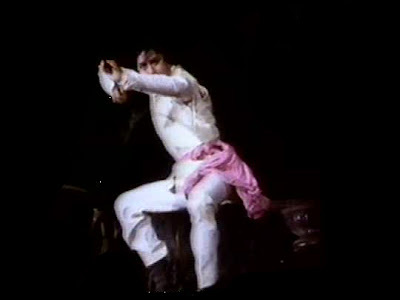 Yes I do...on a double with another dire Jeetendra vehicle (the one with the Love/train station/tennis outfits song). And for those playing at home, today's verification word is Glitemoz - a glittery version of a mausoleum - a sparkly cemetery maybe? Very filmi. Ha ha! "Intent on seeing everything that might loosely be called "horror," or all the works of Amrish Puri" could be my new "About Me"! So my question is: How do you distinguish a possessed person from a run-of-the-mill meth-head, other than by setting them on fire? 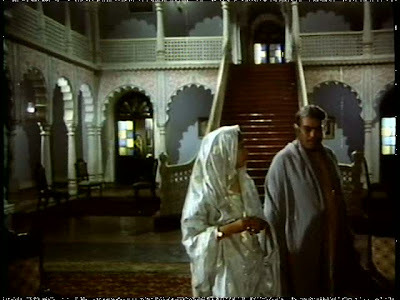 The answer to the question, "Why was Jaani Dushman ever made?" is "To make Dharam Veer look good." Hey Dharam-Veer IS good, indiequill!!! I am not a fan of horror - Bollywood or Hollywood, but I think that I may have to watch one or two just to be a fully rounded viewer. However, between the pics and your commentary this almost looks like a comedy disguised as a horror. Or maybe it's just the sign of the times and movies that were perceived as scary back in the day aren't any longer by today's more "let's shock the hell out of them" standards. 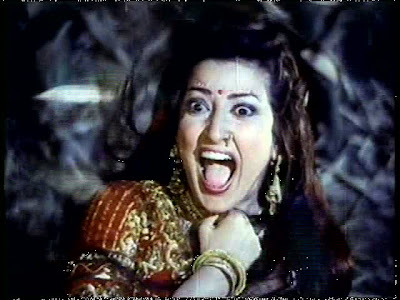 At any rate, it will probably be a long time before a Bollywood "horror" lands in my pile of movies. 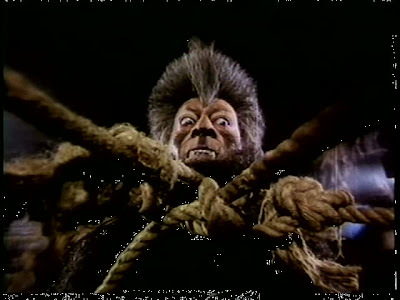 I remember Jaani Dushman very faintly (saw it as a kid), but I do recall it being scary then. And the Ramsay brothers are known for horror films in India, but that's not because of quality - it's because then, they were the only ones making the genre. Ah hah, someone is a fan of all things Bollywood. 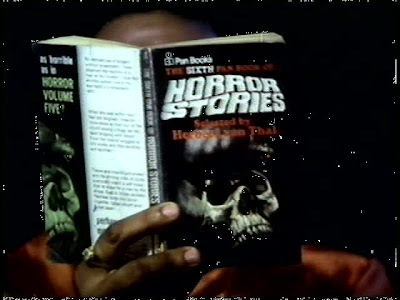 I run a couple of sites, and one of them is http;//www.badnaam.in where I provide synopsis of the old time horror movies. Incognito - Your site looks AWESOME! There are many readers here who will love it, I'm sure!